I am grateful for my comforter today. The comforter is a type of bedding that provides additional insulation or warm on those cold nights. The comforter is made up of fabric on the exterior and filled with a insulation material such as polyester, down feathers or cotton. A comforter are commonly also known as quilts or a duvet depending on what part of the world you live in. A good quality comforter will help keep you warm in winter months and cool during the summer. Today I am grateful for Rubbermaid containers. Rubbermaid is a manufacture of different products one of their product lines is the Rubbermaid food containers. 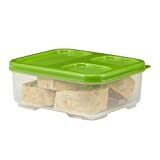 These containers come in a variety of different sizes, shapes and colours. 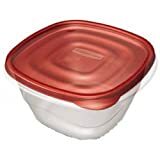 Many of the Rubbermaid food storage containers are safe for use in the Microwave, Freezer, Refrigerator and Dishwasher. Rubbermaid products are durable and will even when they are dropped. 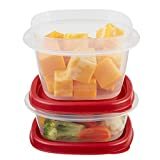 Many of the Rubbermaid containers for food will seal really well so you can use them to transport food for your lunch or dinner. I am grateful for Google Calendar. Google Calendar is a part your google account. Many people use Google Calendar to keep track of appointments and other important dates like anniversaries, birthdays and other special dates. Google Calendar is able to integrate with applications on your mobile smartphone as well many online services support integration with your Google Calendar. With Google Calendar you can setup multiple calendars under one account for different purposes like you could have a specific calendar for all your personal appointments, another calendar for your kids and one for work.